Today was a half day, and I’m grateful for that. My many marathon stretches through Liaoning Province seem to be catching up with me. Hard to get up in the mornings, and I almost fall asleep at the dinner table in the evenings. Today was very good walking-wise. Not so cold. Beautiful terrain to be walking through, and the Dandong signs have been replaced by Hushan signs which is my final destination! Bo Hui Qiang, Wang Wei, Robert, Zhang Guo Cheng and Xui Xiao Feng in the reception area of the Zhonglian Hotel. Also a very big thanks to Zhao Fu Qiang – the manager of the hotel for being so hospitable. It’s time for bed now. A big day awaiting tomorrow! 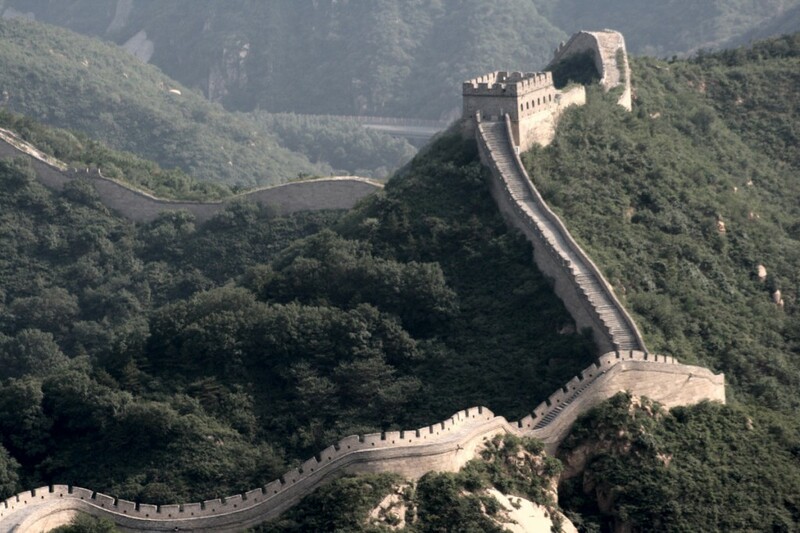 About 16 kilometres in a straight line to Hushan Great Wall close to Dandong.